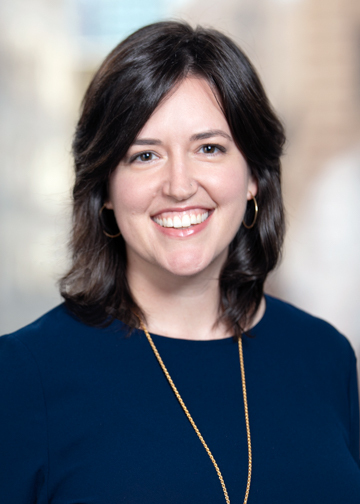 Kristen Ruff serves as the Senior Vice President of Member Services at Philanthropy New York, a nonprofit membership organization of 280 NYC-based philanthropic organizations. PNY supports and strengthens the foundation sector’s practice of effective philanthropy for the public good by providing members with knowledge, connections and resources that facilitate strategic, collaborative grantmaking. As a member of the senior leadership team, Kristen helps develop and implement PNY’s strategic priorities and supervises the Member Services and Communications teams. Kristen provides key support to PNY members and leads the organization’s leadership development programming and training programs for foundation program officers. Prior to joining Philanthropy New York in 2007, Kristen coordinated the public education and humanitarian aid programs at MADRE, an international women’s human rights organization. She holds a B.A. in Women’s Studies from Wellesley College and MPA from NYU's Robert F. Wagner Graduate School of Public Service. Kristen is involved with several organizations as a volunteer, including the New York Women's Foundation, Fund the People and Equity in the Center, and serves on the board of NEO Philanthropy.